Thomas Edison is remembered for his contributions to many great innovations, including the phonograph, the light bulb, and the movie camera. But few people today remember one of his most spectacular failures: a talking doll that was the must-have Christmas toy in 1890. There was just one little problem with the dolls. They sounded like they were possessed by demons. In 1890, Edison was successfully selling phonographs, though not for the purposes he desired. The stubborn inventor wanted his recording machine to only be used for serious applications like taking dictation in the office or at home. But the public — and by extension, Edison's distributors — were much more interested in the phonograph's potential for home music listening. Edison was resistant to the idea of using the phonograph for what he viewed as frivolous entertainment purposes. Though, for whatever reason, he did make one exception: children's toys. Edison formed a new company in 1887 called the Edison Phonograph Toy Manufacturing Company with two new business partners. These partners were the first to think of putting Edison's phonograph into a doll, so Edison licensed the idea from them and lent his name to the new toy. Edison's "Talking Doll" utilized a small version of his hand-cranked phonograph to recite a nursery rhyme. By spring of 1890 the company was up and running, with dozens of people placing orders before a single doll had even found its way to stores. According to Randall Stross's 2007 biography of Edison, the inventor employed an army of hundreds of girls to record the voices for his dolls. Each doll had a unique recording, because at that time there was no way to reproduce the recording without doing each individually. Every doll that left Edison's lab was checked and re-checked to ensure that it worked properly. And the dolls performed just fine in the safe confines of the lab. The problem was that the phonographs were extremely delicate and almost all of them were damaged in shipping. By the time they reached consumers, nearly every doll's custom recording sounded like a shrill, garbled mess. According to Stross: "One dealer found that of the first 200 dolls sold, 188 were returned. At that point, he told prospective customers that his remaining stock of dolls was for sale only on an as-is basis, without guarantee." Amazingly, this caveat did little to dampen sales for the Christmas season. The toy had been so hyped that it didn't really matter whether it worked or not. Spoiled little rugrats everywhere just needed to have it. After that Christmas season no more were ever produced. Of the dozen or so Edison Talking Dolls still in existence, there are three or four that still work. 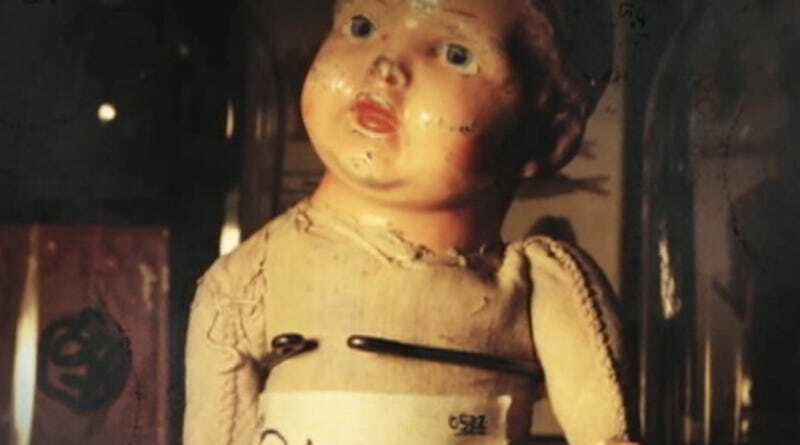 The Science Channel recently had a short segment about one of the surviving dolls, and in their video you can hear its horrifying cry — a high-pitched and distorted nursery rhyme recorded by a young girl in one of Edison's labs over a century ago. If that's not the premise for a good haunted doll movie, I don't know what is.